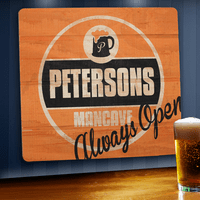 FEATURES/SPECS There's no man cave quite like your man cave. 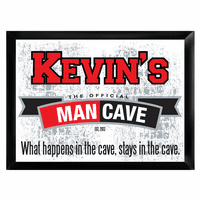 Let the world know that your guy dwelling is the one and only "Official" man cave. No imitations here, authorized personnel only! 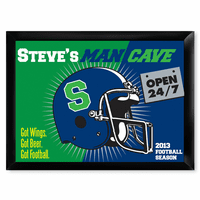 Printed in shades of blue, black and white on a vintage shaped wood sign, it proudly comes with the slogan "Got Wings, Got Beer, Got Sports." What else does a guy need during football season? 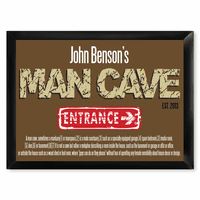 Add your name across the top to turn this personalized man cave wall sign into a custom keepsake. 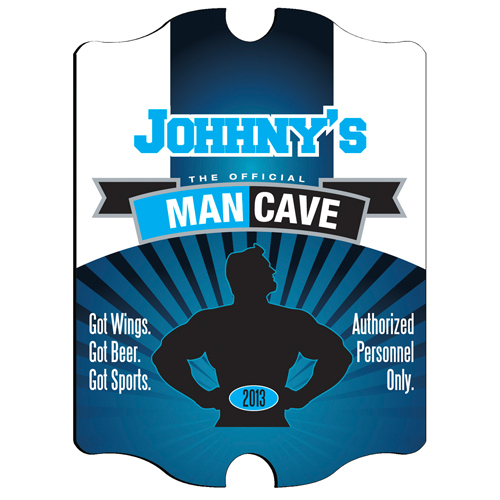 Comes painted with the words "Got Wings, Got Beer, Got Sports" and "Authorized Personell Only"